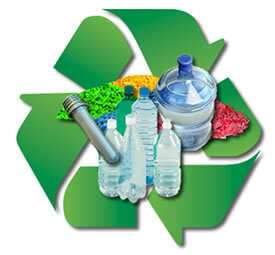 You are here: cityrecyclers.net / Making Old New Again – Plastic Recycling / What Plastics Do We Recycle? There are many different compounds found in plastics, and the ingredients which create something like a bottle of water can be completely different from a hula hoop. This is important because there are various processes which are used to recycle plastic and depending on the type of plastic, one process may not work for another. This means that it is critical the we pay attention to the types of plastics that we are consuming and recycling so that we can ensure the safest avenue for recycling and that the maximum amount of products are actually being recycled. When incorrect plastics are at an area which can’t recycle them, those plastics do not meet the recycling criteria and are discarded. This group contains soft drink, water and salad dressing bottles; peanut butter and jam jars; small customer electronics. This group contains water pipes, hula hoop rings, five gallon buckets, milk, juice and water bottles; grocery bags, some shampoo/toiletry bottles. This group contains reusable microwaveable ware; kitchenware; yogurt containers; margarine tubs; microwaveable disposable take-away containers; disposable cups; plates.